Developed for dogs and cats with dry skin problems, such as itching, flaking, irritation, and redness. A combination of rehydrating and soothing agents together with calming zinc, support the skin’s natural healing process. Recommended for 2- 4 weeks especially for skin folds, between toes, and other irritated areas. Handy tube with a dosing tip. 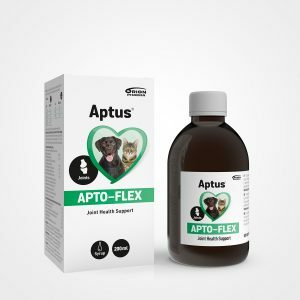 Care concentrate for dogs and cats. Apply on irritated area, massage gently into the skin. Do not rinse off. For best results, prevent the dog / cat from licking the area for 10 – 15 minutes after application. In case of accidental ingestion, it is harmless nontoxic to pets. 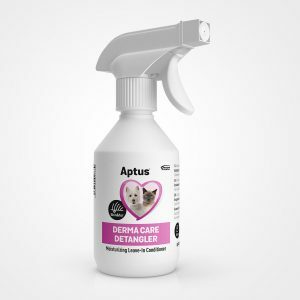 If necessary, wash your pet with Aptus Derma Care Soft Wash prior to application. Sodium Lactate, Urea, Zinc Sulfate, Caprylyl Glycol, Ethyl Lauroyl Arginate HCl, Polyquaternium-10, Lactic Acid. Dry and sensitive skin, including skin folds, can develop local redness and itchy, irritated areas that promote scratching. Aptus Derma Care Concentrate calms and protects irritated skin. The product contains zinc which prevents fungus and bacteria. Together with several nourishing and moisturizing agents this gentle concentrate will strengthen and repair the skin’s barrier. The natural skin barrier function prevents skin problems. Aptus Derma Care line consists of three products: Derma Care Soft Wash, Derma Care Moisturizing Gel, and Derma Care Concentrate. For best results, use Aptus Derma Care Soft Wash for bathing your pet. Derma Care Moisturizing Gel is a moisturizing gel suitable for daily use. 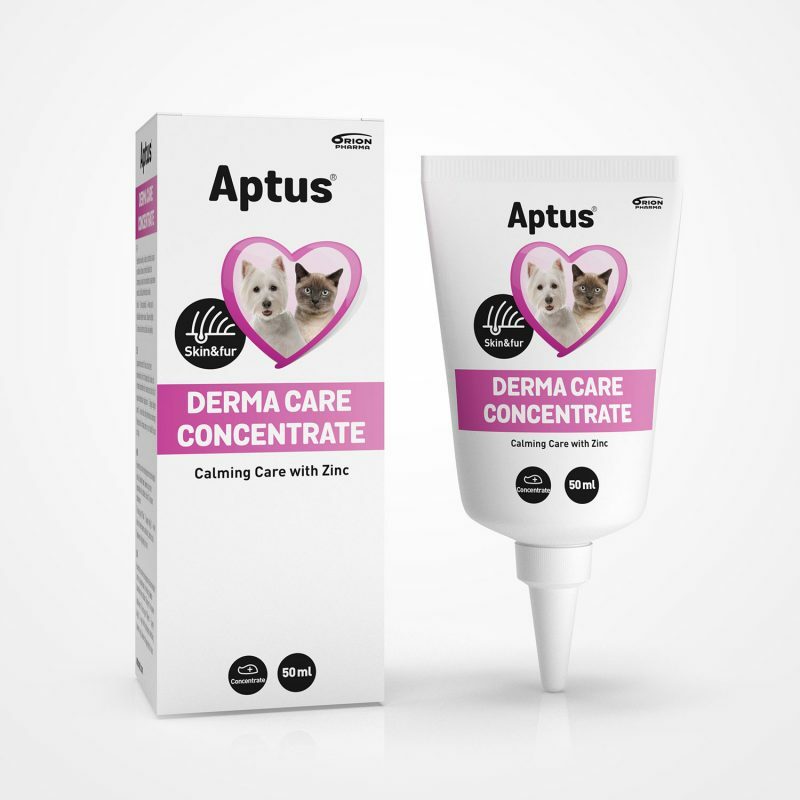 Aptus Derma Care Concentrate contains zinc and is recommended to be used for 2 – 4 weeks on irritated areas.